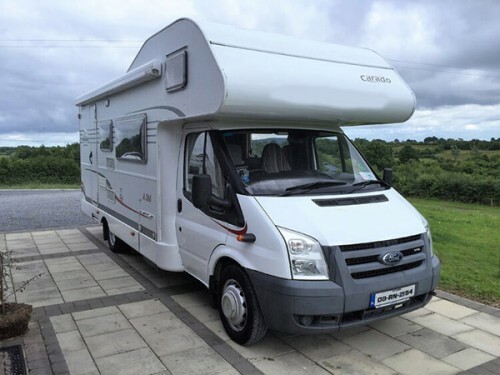 This page displays all the motorhome that are available for hire in Roscommon . If you would like further information or to speak to the camper's owner about hiring their motorhome please visit their Camperbug page, by clicking below. I am Carado, hire me today! Carado 6 berth is a modern and spacious motorhome. The interior offers a large dining area at the front and x2 full size single bunk beds at the rear. Come night-fall the third double bed is easily fixed in place. The over cab beds is over 5 feet wide, crockery, cutlery, Reversing camera,4m Fimma awning with many more. Our Carado offers all of the modern facilities and space necessary to enjoy a hassle free and relaxing break.